1. Say that Swiss chocolate is way better than Belgian chocolate. 2. Never bring up cuckoo clocks, because they're from Germany. 3. If you get invited by a Swiss, pretend to like playing with the house cat (even though she has claws). 4. And don’t leave by 9 PM. Try to be the last one to leave, and your hosts will consider you a true friend. 6. Compliment a Swiss on the wrist watch, even if it is a plastic Swatch. 7. Carry a "Freitag" bag every day of the week. 8. 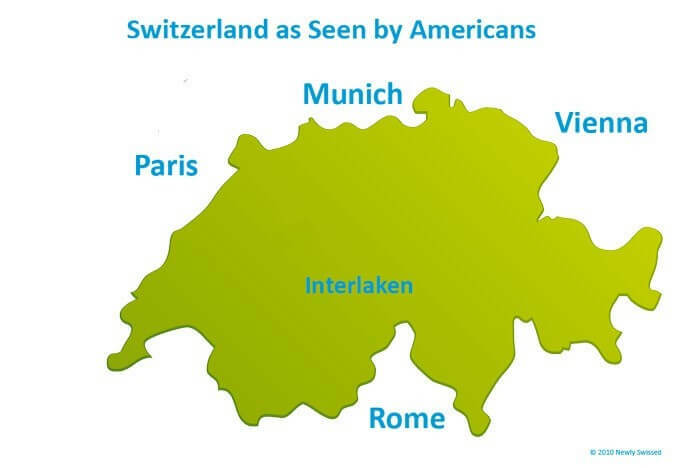 Praise the fact that Swiss are always on vacation (and don't show them how jealous you are). 9. Start listing all the famous Swiss you know: Dürrenmatt, Frisch, Herzog & de Meuron, Rousseau, DJ Bobo, Federer, Hingis, Heidi. 10. Say that you love the punctuality of Swiss trains. 11. Speak quietly on public transportation. 12. But shout "Hopp Schwiiz" during a soccer game! 13. Compliment a Swiss on the geranium flowers which they use to decorate the house. 14. Lie that Swiss German is the most beautiful language you have ever heard. 15. On your birthday, bring a home-made cake to the office - or Weggli buns and chocolate bars!